Yesterday, Caroline Creighton and Joanne Kavanagh Dargle presented a cheque for €700 to Balbriggan Cancer Support Group. The money was the proceeds from the sale of their crocheted Christmas bell decorations which they lovingly created to raise funds for Balbriggan Cancer Support Group. Caroline and Joanne would like to thank everyone who supported them in helping them raise this money. 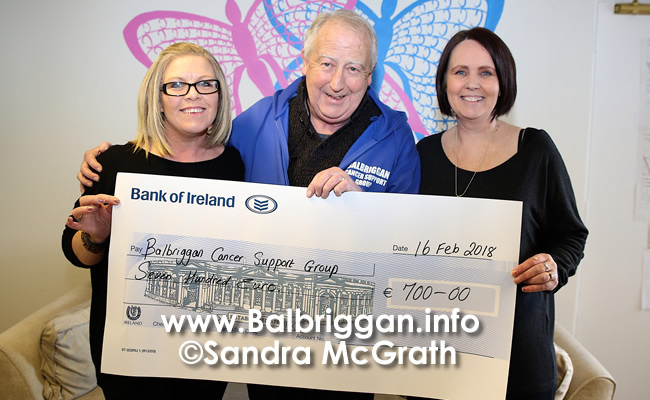 Balbriggan Cancer Support Group would like to thank Caroline and Joanne and everyone who supported the ladies in the fundraiser for their support and generosity.